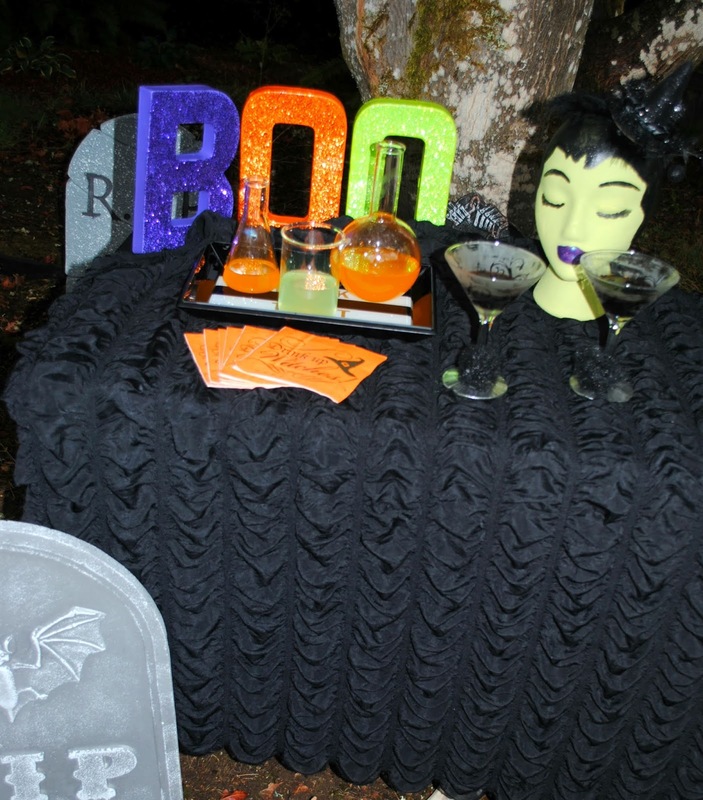 Halloween parties are SO much easier when you have a theme. 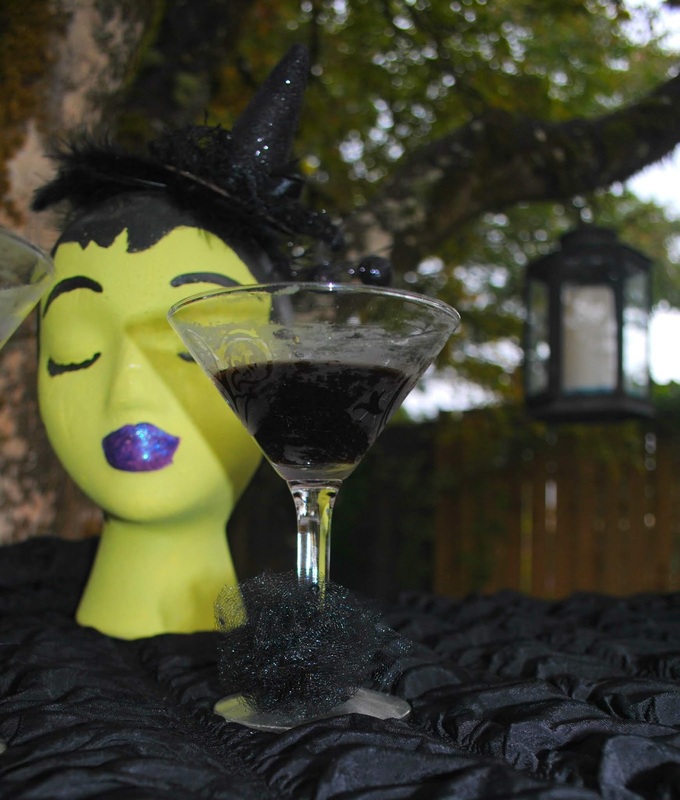 This Halloween, leave the men at home and host a witches only cocktail party. Details make a party. Pick up some beakers to fill with tasty cocktails. Serve the cocktail filled beakers on a tray. Witch napkins. And you all know I can't resist adding some glitter in. Try to mirror the colours through out the table. 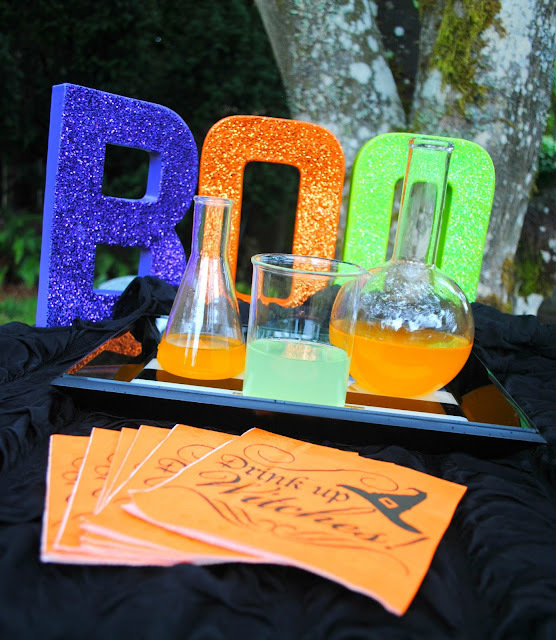 The cocktails in the beaker reflect the colours in the BOO glitter letters. Dress up your cocktail glasses with tulle poms. Add fun details like a witches head. Adding décor details to the table draws interest to it, gives the table dimension, depth and colour. This witch head was so easy to make. I picked up a Styrofoam head from the craft store. Than sketched out the lips, eyebrows and hair line. Once I had those features sketched out I painted them in. I added some eye lashes and topped it off with a mini hat. I painted using a foam brush. All these items you can pick up inexpensively at craft stores. For the witch hat look in the floral pick section of your craft store. This party is so easy. It doesn't require a lot of space or time to prep. You could re-create this look or just decorate with what you already own. If you don't have any items to use or just want to pick up some new stuff, check for sales. 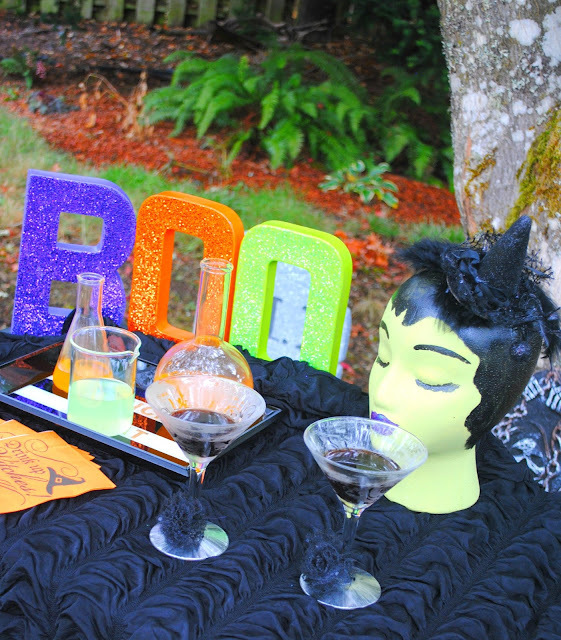 Halloween items usually go on sale at craft stores late September. If you wait until mid-October there won't be much left to chose from. Remember, if you want to order some items from shops on etsy you need to order early. Don't order a week or even two weeks before your party and expect to receive it on time. As seen on Afternoon Live. 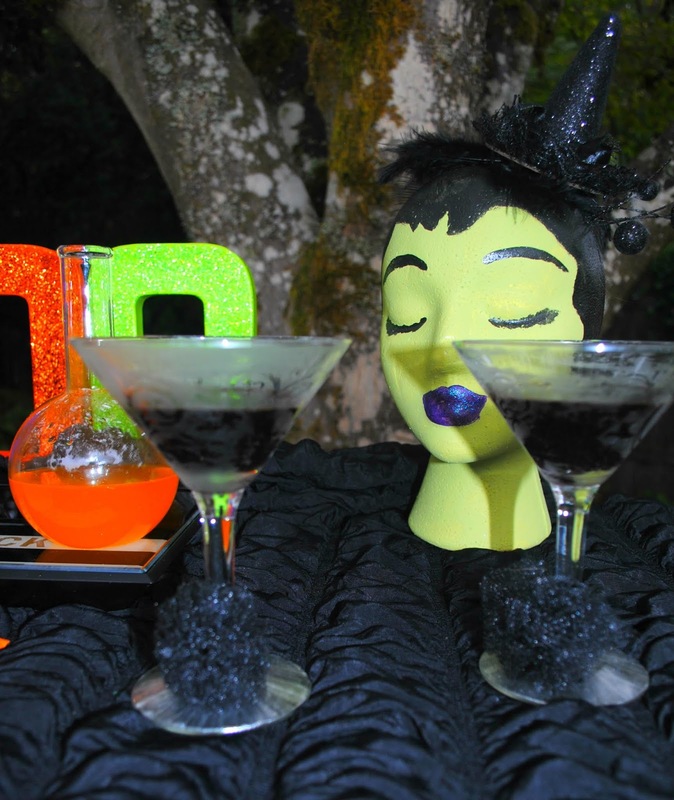 Watch it for more Halloween party inspiration.